Airfares are a big part of most travel budgets, especially if you’re traveling internationally and overseas. But, they don’t have to be. The airline industry uses dynamic and sometimes irrational pricing for their flights, which gives us the opportunity to hunt for deals and even game the system. I’ve been traveling full-time and booking flights on a regular basis since 2011, so I always do my best to get the cheapest flight possible by travel hacking it. This is one of the techniques that has allowed me to travel the world on a budget. 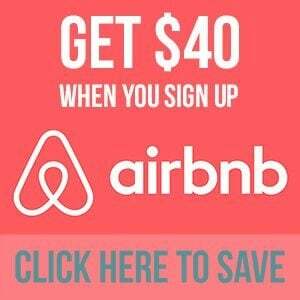 And of course, my goal with this site is to help you travel more and save money on your trips. 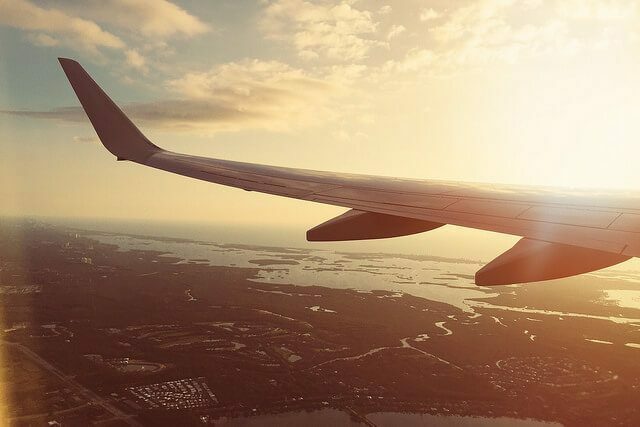 From finding error fares to dumping fuel and booking deals most people don’t even know exist, this post will teach you 20 of the best tricks expert travel hackers do on a daily basis. 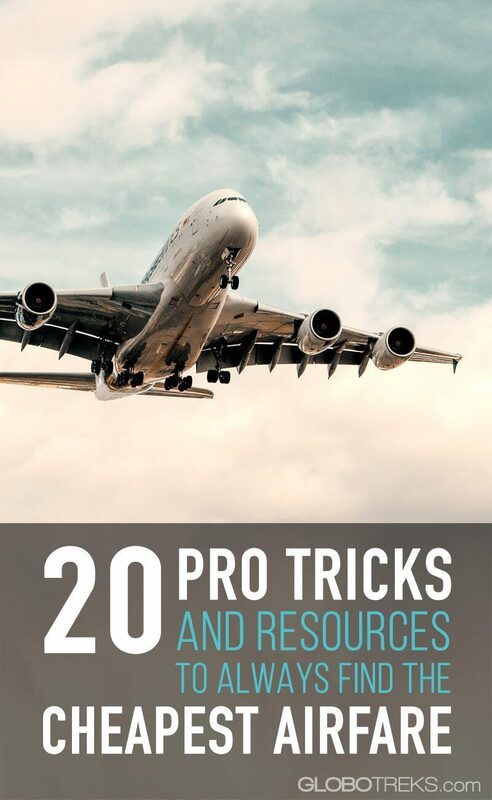 You might not be able to master all of these tricks overnight, but feel free to bookmark this page and come back later to refresh your techniques before booking your next flight! Ok, this one is really basic, but it is one of the most important aspects of travel hacking. You need to sign-up to reward programs to accumulate points or miles to redeem them for free travel or upgrades. Think of miles and points as a currency, and just like any currency, they do have a specific value. Some miles are worth pursuing while others are not. If you don’t know which programs would be best for you, start by creating a frequent flyer account with American Airlines (One World), United Airlines (Star Alliance), and Delta Airlines (SkyTeam). These three airlines are the best ones to cover all three major airline alliances, giving you greater chances of earning and redeeming miles. While these airlines are US-based, signing up with them still works well for travelers from all around the world. Also, while I do recommend these airlines, do check which is the most convenient airline for you. For example, if you live in Alaska, probably signing up for Alaska Airlines frequent flyer program (One World) will be better since you’ll probably fly them more often than any other One World airline. For hotels, sign-up for the Starwood Preferred Guest program. This is a hotel program that gives you points for hotel stays, and it also lets you redeem some airline miles for such stays. I LOVE error fares and more often than not these are the fares that will help you save hundreds, if not thousands, on airfare. 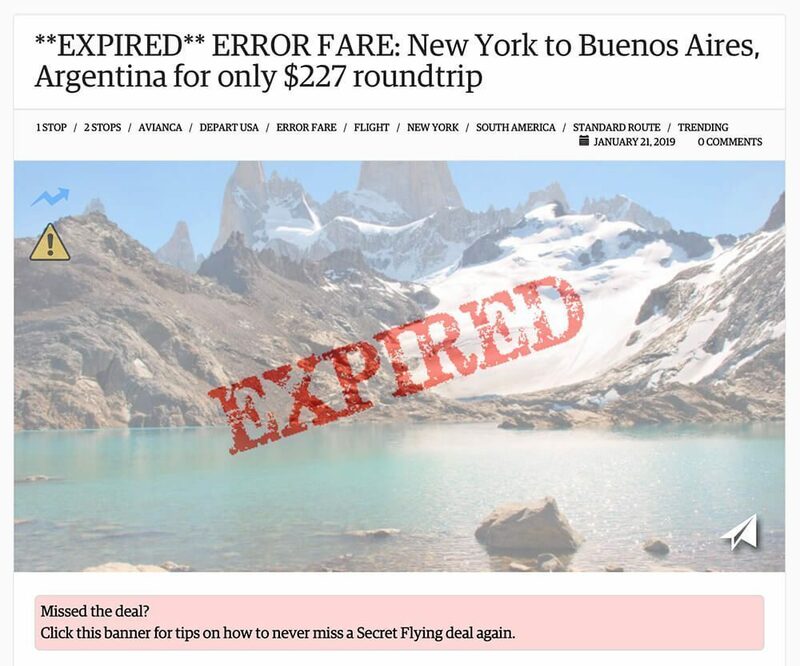 An error fare is basically that, an airfare priced incorrectly by the airline due to a computer glitch, someone pressing the wrong button, or forgetting to add some taxes to the fare or other fees. Error fares are typically the cheapest fare you’ll find for any given route. Think, for example, flying from New York to Sydney, Australia for $300 roundtrip, when that flying is usually $1,000+. There are five important things to know about error fares. You must book it immediately! You can’t marinate your thoughts about it because maybe half an hour from now, it will be gone – once the airline realizes their mistake. It may or may not be honored by the airline. Some airlines accept their mistake and honor the fare while others will cancel your booking and refund the money. I’ve had both situations happen. NEVER contact the airline. This is extremely important! Airlines don’t like pricing mistakes. Contacting them will alert them about the error fare and increase the chance that they will correct the mistake and cancel the bookings. Don’t book any other travel plans until after a week or two of purchasing the flight. Airlines are pretty quick spotting these errors and deciding whether to honor them or not. If they decide to cancel it, you’ll usually know within a week or two of purchasing it. Pay with a credit card, not a debit card. A credit card may help your payments go through quicker, and if the fare is not honored, credit cards offer more support for getting your money back. Now, where do you find these error fares? Secret Flying is among the most popular sites out there for error fares. Their facebook page is also pretty good to stay in the loop about the latest deals they find. They also have an app that makes it quite handy to search and even request for deals if you’re subscribed to them. An example of an error fare. This one came out today and it already expired! and Cheap Flights Lab, among others. Mighty Fares is worth mentioning as they show daily deals, but the site is less user-friendly and more enthusiast targeted. The deals are only presented with the airport codes (SJU to YXX, for example), so you must be familiar with them to understand where this deal is taking you. All Online Travel Agencies (OTA), or search engines, are different. Some are able to offer exclusive deals that make a certain route cheaper if booked with them, while others might offer routes with some airlines that don’t show up on other booking sites. That’s why you should always shop around and compare prices before booking your flights. This is the opposite of error fares, which have to be booked immediately. The following are my top five recommendations and why I like them. Skyscanner: This is the site I use the most thanks to its flexibility. If you’re not sure where you want to go, you can search for flights to “Everywhere” and it will show you the cheapest destinations in ascending order. 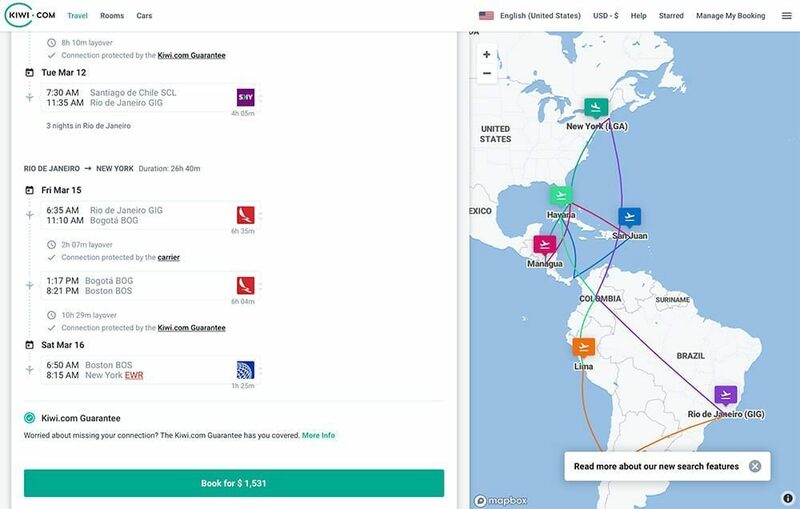 If you’re not sure when to travel, you can search for specific cates, an entire month, or even the “cheapest month.” Skyscanner often tends to be among the cheapest OTA out there. Kayak: I use Kayak a lot, especially when I know the destination and rough dates I want to travel. Their date flexibility matrix (+/- 3 days) is pretty good to narrow down the cheapest departure/return dates. You can also do multi-city and open-jaw searches, which is a plus! (more on that soon) Their explore map is also great if you want to browse the cheapest destinations from your departure city. 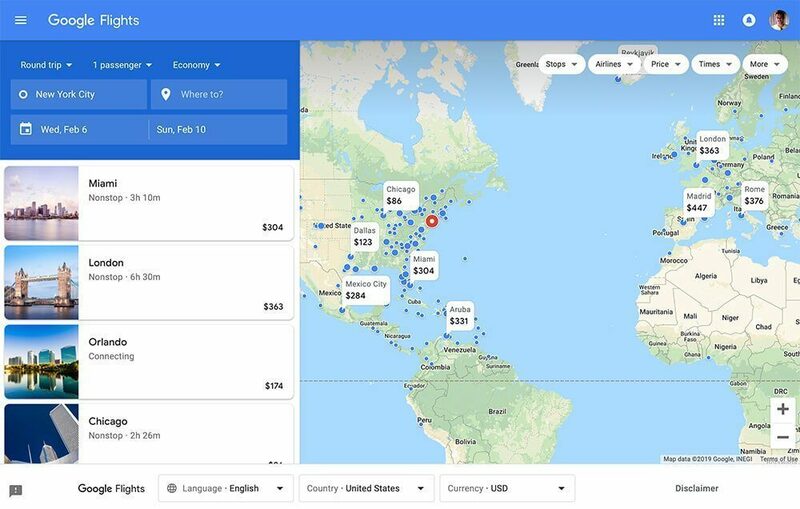 Google Flights: This one is slowly gaining more ground in the travel industry and often comes up with some solid deals. Their drop-down calendar and map make it so easy to visualize the cheapest dates and destinations from your departure city. Booking with them is also pretty straightforward and easy. Google Flights map search. The other search engines mentioned here also have a similar map. Momondo: It might not be among the well-known OTAs, but it is a solid one you shouldn’t skip. Momondo’s strengths lie on searching for international fares and multi-city combinations. It shows you the “best flight” based on a combination of price and travel time. 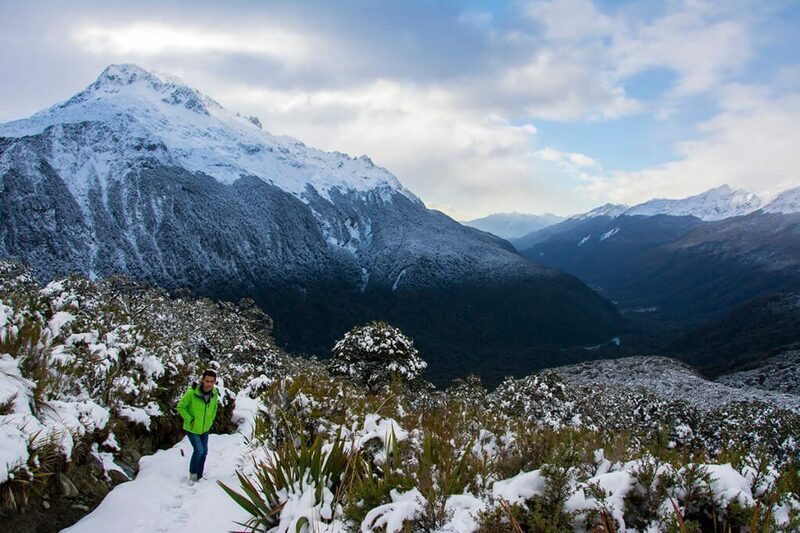 Kiwi: This also lesser known OTA is also worth mentioning not only for its good deals, hacker fares, multi-city search, and flexibility but also for its “nomad” search. With it, you can search from your departure city all the destinations you want to visit and an approximate number of days per city. Say, I want to start my trip from New York and visit San Juan, Lima, Rio de Janeiro, Buenos Aires, and Mexico City. Then, it will find you the best, cheapest, or fastest flight combination to visit all these cities, in any given order. Let me dispel the myth first. No, searching for flights on a Tuesday or after midnight will not result in cheaper flights. Having said that, flying on a Tuesday or Wednesday tends to be cheaper if you’re flying popular business destinations (like New York City to Los Angeles). Especially if flying within the US. Also, flying on a Saturday could be cheaper if you’re flying popular tourists routes since many tourists don’t want to break their weekend to fly in or out. For flights to Europe, weekdays tend to be cheaper too. According to Skyscanner’s booking data analysis, January is the cheapest month to travel from the United States. Flexibility is key to get the cheapest airfare possible. You should be flexible about when to travel and how to get there. Look for flights at “inconvenient” times like early in the morning, late at night, and red eyes (overnight flights). Also, use the search tool in Kayak and Kiwi, among others, that show the cheapest airfares three days before and after your desired departure/return dates. If you’re visiting multiple destinations, play with the order of the cities to see which one will come out cheaper. When it comes to airlines, not necessarily the most “logical” route is the cheapest. As mentioned previously, Kiwi has a pretty cool tool to help you do this. An example of Kiwi’s Nomad feature. A really good price for all those flights! Also, be open to changing the month of travel. Flying to Europe in June vs July can make a drastic difference in terms of price and experience. This post tells you which are the best places you should consider visiting based on the month of the year. The airline industry can always surprise us with last minute deals and random cheap airfares at any given time, but there are certain price trends we can’t ignore. 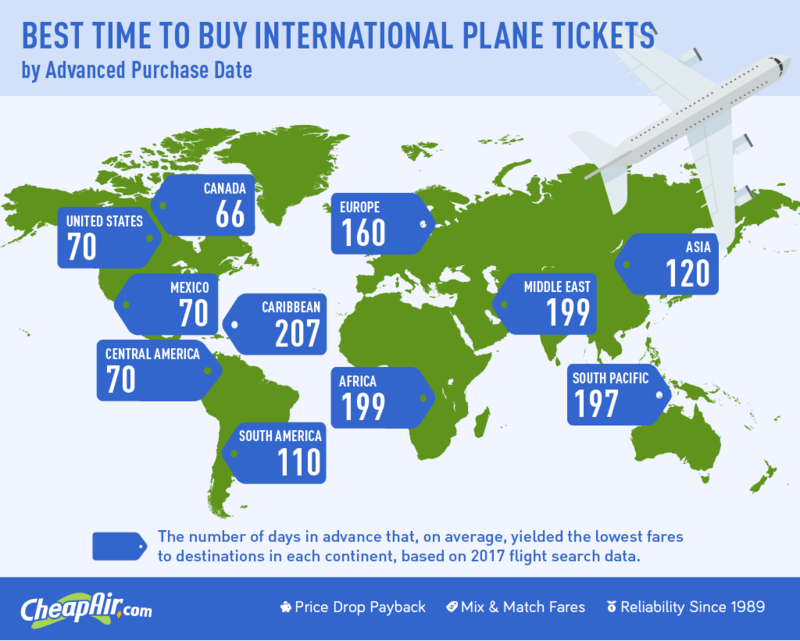 According to CheapAir, the best time to buy flights in the US, to Canada, Mexico, and Central America is around 66 to 70 days before your trip. South America and Asia follow with 110 to 120 days in advance. For Europe, you should book around 160 days ahead, and for the Middle East, Africa and South Pacific you should book 197 to 199 days ahead. The Caribbean closes the list with roughly 207 days ahead. Again, this is just a rule of thumb. Sometimes having a long layover is the way to get cheaper airfare, but long layovers are not necessarily a bad thing. If you have a layover with six or more hours during the daytime, you can use that time to explore that city. It’s like a mini trip within your trip! Many airlines also allow you to extend your layover for free so you can stay there for a few days before heading to your actual destination. Make sure to plan this ahead and book your trip with the extended layover – preferably at the airline’s site, if you can get the same cheap fares you found on the OTA. Boarding from Beijing to Pyongyang, North Korea. Pyongyang was my intended destination, but spent 3 days in Beijing as part of my layover. Speaking of layovers, sometimes it is cheaper to fly to your destination as a layover in your airfare than the actual destination. Every airline has a hub airport (or a few). When you fly with such airline to its hub airport, chances are your airfare will not be the cheapest since airlines tend to charge more when your final destination is their hub. I’ll give an example I booked. After Hurricane Maria ravaged Puerto Rico, my parents and I needed to get out of the island as soon as possible. Of course, due to the circumstances, not many airlines were flying there the following weeks, and the ones that did priced everything at a premium. But, the hidden city trick helped me and my parents save a lot of money. 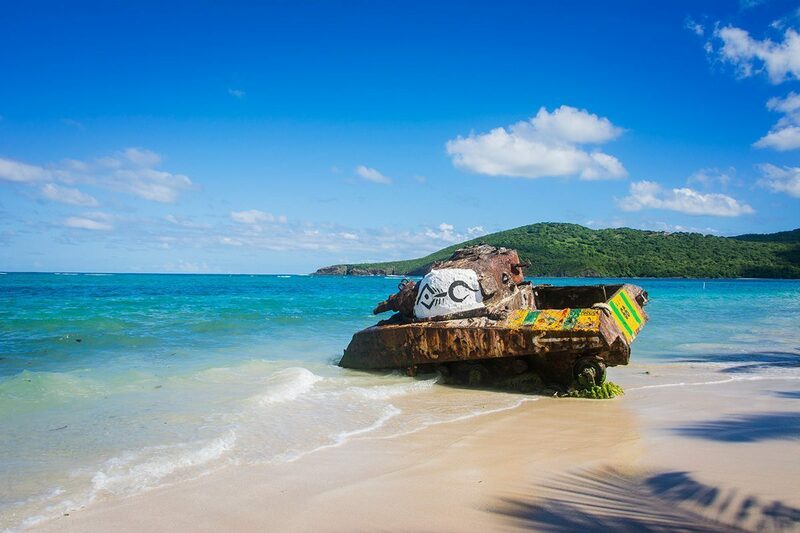 The famous Flamenco Beach in Culebra, Puerto Rico, with its stranded WWII tank. We wanted to fly from San Juan to Atlanta, but booked a flight to Miami with a layover in Atlanta with Delta (Atlanta is their hub). We paid around $180 per person instead of $600+ if we booked just from San Juan to Atlanta. We simply got off there, missing on purpose our Atlanta to Miami flight. This only works on one-way bookings. Once you miss a flight, the rest of your booking is canceled. Only do this if your final destination comes out cheaper as a “layover” to any other city en-route. You can only do this if you don’t check bags (only carry-on bags). Should you check-in your bags, they will go to the final destination. 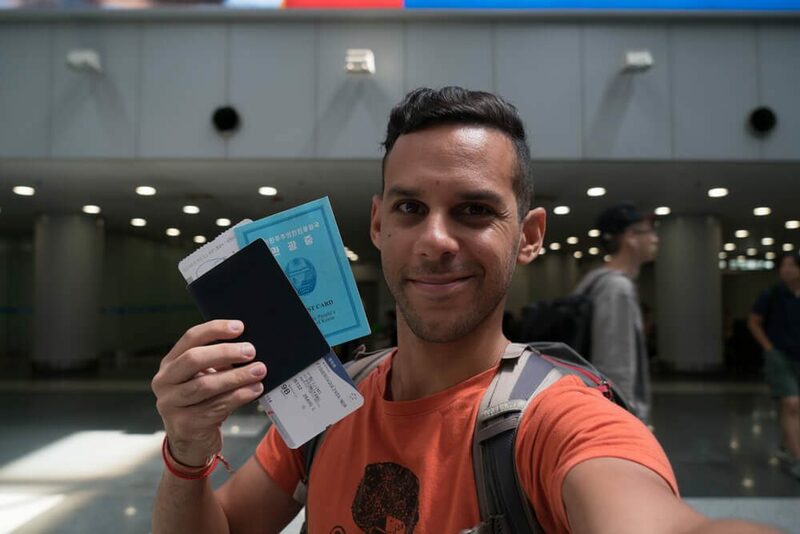 Should you decide to do this internationally (i.e., buy a flight from Bangkok with a layover in Kuala Lumpur and final destination in Sri Lanka… but get off in Kuala Lumpur), make sure you have all the required visas and documents to be able to stay in such country. Do NOT mention your plans to stay in your “layover” city to the airline’s staff. They consider this practice as “fraud.” This is perfectly legal, but airlines don’t like it because technically you’re gaming the system (which is the whole idea behind travel hacking). Don’t create a pattern of skipping flights with the same airline as they might notice it and cancel your frequent flyer program. Skiplagged.com is a site specifically dedicated to exposing these loopholes in airfare pricing. Have fun with it! From my experience, this site will work best for US domestic fares and some European ones. Notice how the cheapest flight drops the ATL – MKE leg. These airlines can be huge money savers! Thankfully, budget airlines like AirAsia, Norwegian Air, WOW Air, and EasyJet, among others, fly cheaply from the US to Europe, Asia, and even Africa. They do the same job as other carriers – getting you from point A to point B – but at lower costs and with fewer amenities than legacy airlines. 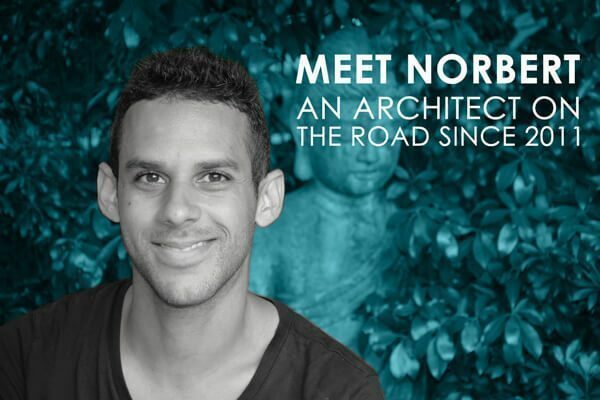 From my experience, I happened to save over $300 by flying from Bangkok to New York with Norwegian Air instead of any other major carrier. And in Asia, I’ve flown with AirAsia for as low as $35 one way. Seriously! Not all budget airlines show up on OTAs, so sometimes you must do a bit of extra research to find them and search directly on their site. This mostly happens with the smaller airlines. Thankfully, Wikipedia is an excellent resource. They have a page listing all budget airlines categorized by base country. In terms of secondary airports, usually, budget airlines tend to fly there since they charge fewer taxes, have lower landing fees, and fewer perks, which in turn make airfares cheaper. 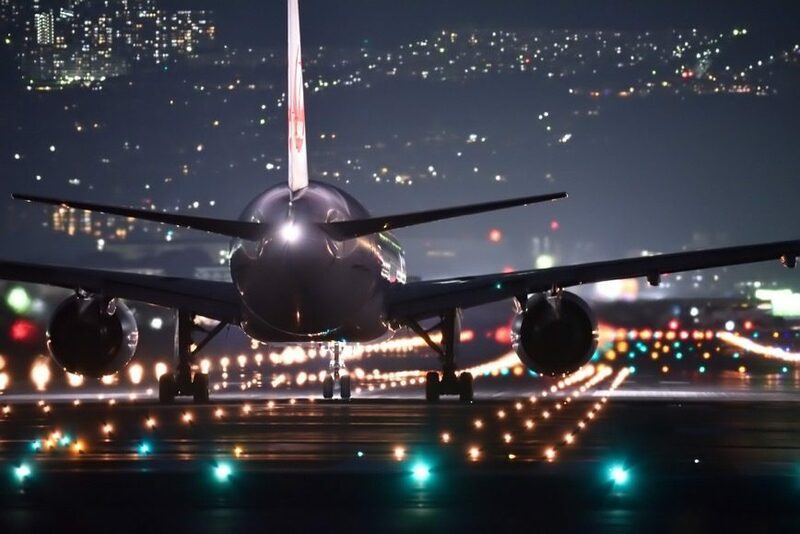 Usually, these secondary airports are far from the city center, so be sure to check how easy it is to get from the airport to the city center and how much it would cost you. In some cases, this local transportation cost can make a cheap budget airline fare more expensive and less time-effective than a major airline. Sometimes flying to a major airport a few hours away from your destination might be the cheapest option, due to competitive pricing. You can then reach your destination by adding overland transportation via buses, trains, or driving. The site Rome2Rio is really helpful to help you compare if the cumulative price of airfare plus overland transportation is cheaper than just a flight. Many airlines and OTAs have different versions of their site for different countries. Each version might have different prices based on their geographic location, local currency, and local offers. It is also possible to book a flight on a website located in another country that is neither your base country nor the airline’s base country (for example, the Canadian website for a US airline). Even search engines like Kayak and Skyscanner allow you to visit any of their international sites, and each of them shows a different price based on the offers given by the local airfare providers. Just play and have fun searching on several international sites. You can usually find the international site options on the header or footer of the site. 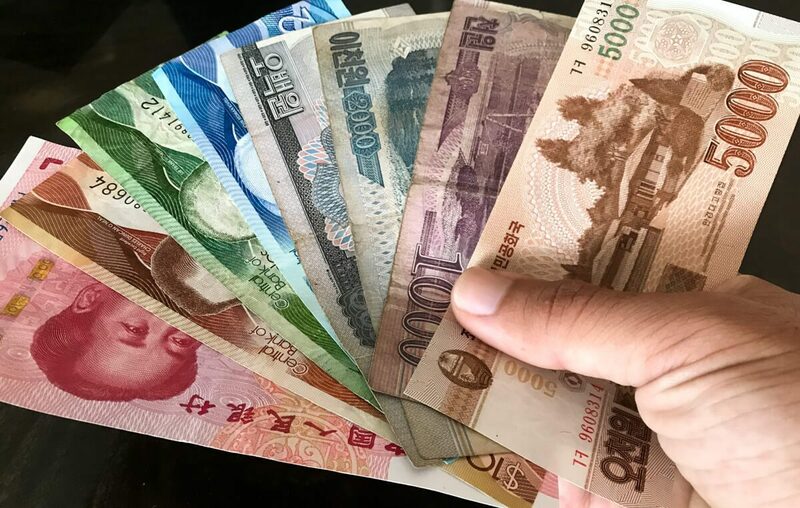 If you found a cheaper flight on an international version of the airline’s or OTA site, and you’re going to pay in a foreign currency, make sure that the exchange rate works in your favor and that your credit card has no foreign transaction fees. This article from Time shows a good example of this “fake” location technique. Similarly, this dynamic pricing also happens between cities, and even down to your zip code. It feeds from the income data and average living cost of the area. For example, someone in New York City could pay more than someone in Knoxville, Tennessee searching for the same flight. For these cases, a Virtual Private Network (VPN) comes handy, as it allows you to connect to a remote network and change your IP address to one based in a different city of your choosing. This fools the site into thinking you’re there, instead of your real location. A VPN I use and recommend is ExpressVPN. It is secure, fast, and private. It has networks all over the world, allowing you to change your location to several cities and countries. The use of a VPN to just change cities can save a few bucks, so don’t expect a big price difference, if there’s any. Changing to other countries might have a bigger impact, depending on the airline’s dynamic pricing. Sometimes, searching for the same route as two one-ways instead of a round-trip can cost less. While search engines tend to mix airlines to give you the lowest price, this is not always the case with roundtrips, especially when budget airlines not shown in OTAs are an option. It might sound contradicting to what I just said above, but quite honestly, the airline industry makes no sense when it comes to pricing. So, even if all you want is to fly one way, also check for that airfare as a round-trip since sometimes it could be cheaper. You simply don’t have to take the flight back. 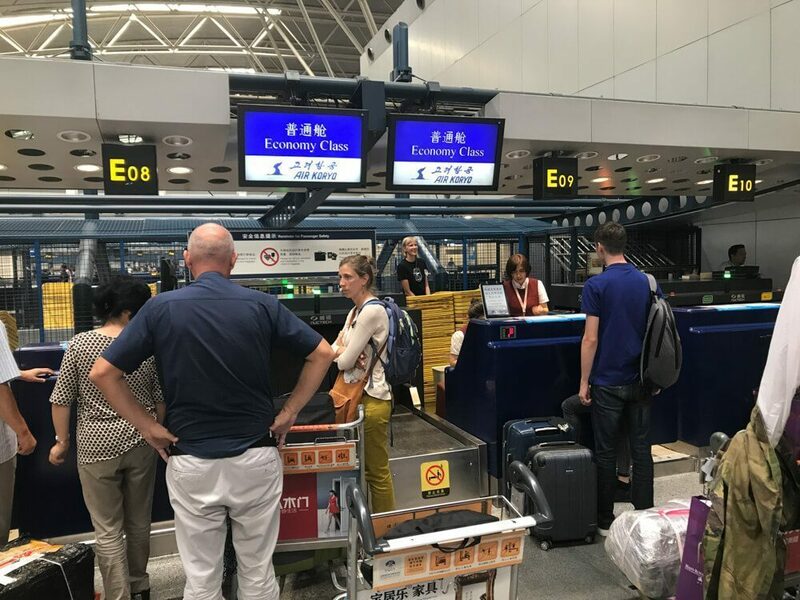 The reason why some round-trips can be cheaper than a one-way is because airlines trigger some deals when you meet certain criteria, and among those criteria is the number of days in your stay. Usually, about a week long or two-week long stay tend to trigger these deals. Additionally, airlines tend to price roundtrips cheaper for scheduling logistics. They want those returning planes full too. Also, leisure travelers tend to look for roundtrips, and the industry knows leisure travelers tend to look for cheaper airfares rather than convenient airfares. I once flew one-way from Brazil to Puerto Rico for a fare that was $375 round-trip, when the one way would have cost $500+. This video explains this in more detail, as well as many other things discussed in this post. For the round-trip vs one-way pricing you can go to the 7:00 minute mark. Booking open-jaw tickets works like if booking a round-trip (even when they are technically not round-trips) because the airline still considers them as outbound and inbound flights under the booking, thus not charging certain fees like fuel surcharges and taxes twice. To book an open-jaw ticket, you need to use the “multi-city” search option found on Kayak, Kiwi, Momondo, and other search engines. Should you want to get a bit techier, you can try this trick as well as the hidden city trick with the Google-ITA Matrix. 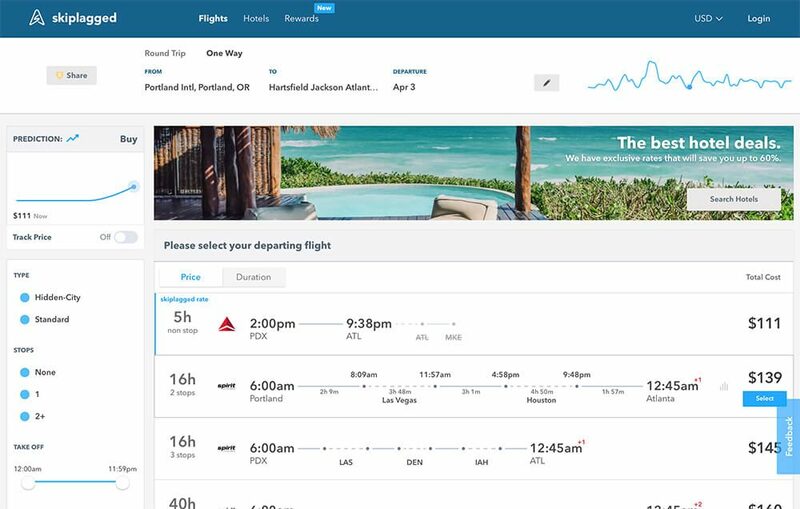 This is not a booking engine, but a comprehensive tool that shows the price directly from the airline’s database. Travel experts swear by this matrix as it allows you to create complex and detailed searches including (or excluding) specific airports, airlines, point of sale, stopover airports, segment runs, and such. You can learn more about this wonderful tool with this article from Travel + Leisure and this thread on the FlyerTalk forum. Unfortunately, you can’t book flights with this tool, but you can plug your search into BookWithMatrix.com to search those exact flights on another OTA. Or, just note down the flight numbers and book them at your preferred search engine. While most search engines already do this by combining different airlines for your outbound and inbound flights, and even different airlines between layovers, you can take this a step further by splitting your booking between domestic and international flights. Let’s say that you’re flying from Tennessee to Paris, with a layover in New York City. After you know the price of that trip as a single booking, search it again but this time do the domestic leg (Tennessee to NYC) and the international leg (NYC to Paris) as two separate searches. In many cases, this technique proves to be a huge money saver. While domestic fares don’t tend to vary that much, especially if it is a popular route, international fares do vary drastically. Often, international airfares that are paired with a domestic flight are priced higher, but you can book those exact same flights, separately, at a fraction of the price. One example is when I bought a multi-city flight from Milan to New York, to Puerto Rico, to New York, to Brazil, and finally to London. When I searched for the entire trip, the total cost was over $3200. But, when I split the domestic leg, which is the New York to Puerto Rico round-trip, the total cost came at about $1,500 ($1,250 for the international flights and $250 for the NYC to Puerto Rico round-trip). It’s not even half the original price! 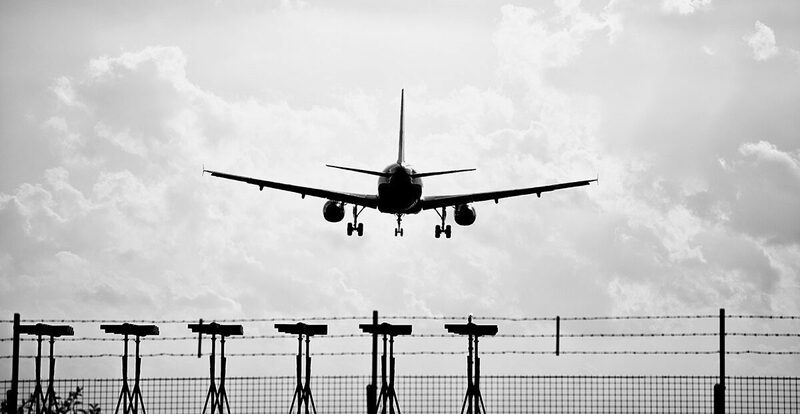 In addition, you can combine major airlines with low-cost carriers to reduce your airfare. You can check low-cost-airline-guide.com to see all the budget airline flight options in Europe. Or, you can check the Wikipedia page mentioned before with the list of all budget airlines in the world. One important thing to note, though, is that for every separate booking, you’ll be responsible to check-in separately, as well as check-in your back and pick them up after every leg. Also, should one flight get delayed, the airline will not respond to help you with your connecting flight because it was not part of the booking. As a recommendation, book your layovers with at least three hours between flights, especially for international flights because you’ll have to pass through immigration to get to your next flight. Or, you can also do the longer stopover technique I mentioned on tip #7. Similar to what I mentioned on tip #8 about budget airlines not showing up on all search engines, the same applies to local airlines, especially outside the US and Europe. If you’re not satisfied with the airfare prices you’ve found on search engines, head to Wikipedia! If you know your destination’s airport name or code (i.e., LAX), go to Wikipedia and search for the airport there. Wikipedia has a pretty good database of most, if not all the airport in the world and it usually shows all the airlines that fly there, including the obscure/unknown ones, and the destinations covered by those airlines. Once you see an airline on the list that didn’t appear on a search engine, go straight to their website and check the prices there. Alternatively, you can Google the airport and head to their webpage, should they have one. 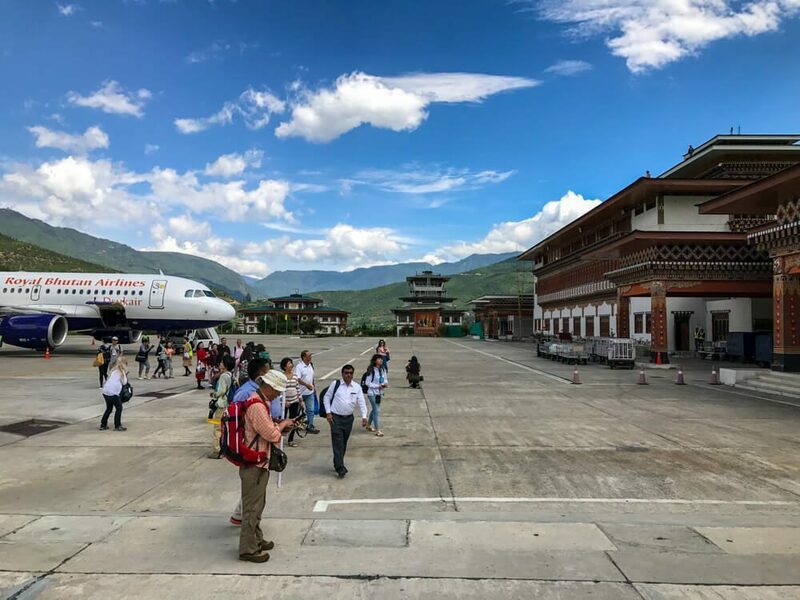 Landing at Paro in Bhutan. An airport only served by three airlines. Two of them are local Bhutanese airlines, the third is a charter from neighboring Nepal. Also, most people forget to double check prices directly with the airline. Sometimes, the prices shown in the aggregator sites don’t necessarily match what the airline show’s directly on their site, and in some cases, visiting the airline’s site might save you some money. Another benefit of booking at the airline’s website is that you don’t have to deal with a third party (and their additional fees) should you need to change or cancel your booking. When you’re checking airfares on the Internet, websites keep track of your visits through cookies, and often, they raise the prices (or keep them at the same price if it recently went down) simply because they know you’ve already visited them and saw a given price. Incognito mode hides your browsing history and cookies so that sites don’t know it is you again. The incognito browsing mode is usually found under the “File” tab in your browser. This tip is usually good to save a few bucks, so don’t expect a big price difference, if there’s any. Travel credit cards not only help a lot in saving money abroad by not charging foreign transaction fees, but they also tend to give more points and miles per dollar on travel-related purchases and other categories. Also, credit cards tend to give some pretty good sign-up bonuses that range from 30,000 to 50,000+ miles or points after you meet their required spending within a certain period. That amount of miles already covers a domestic and even an international roundtrip airfare. To make sure I earn the most points possible, I pay everything with my credit card and make sure to pay it before the end of the billing cycle. Each person will have a different best credit card for them based on their bank, credit history, and even preferred airlines. 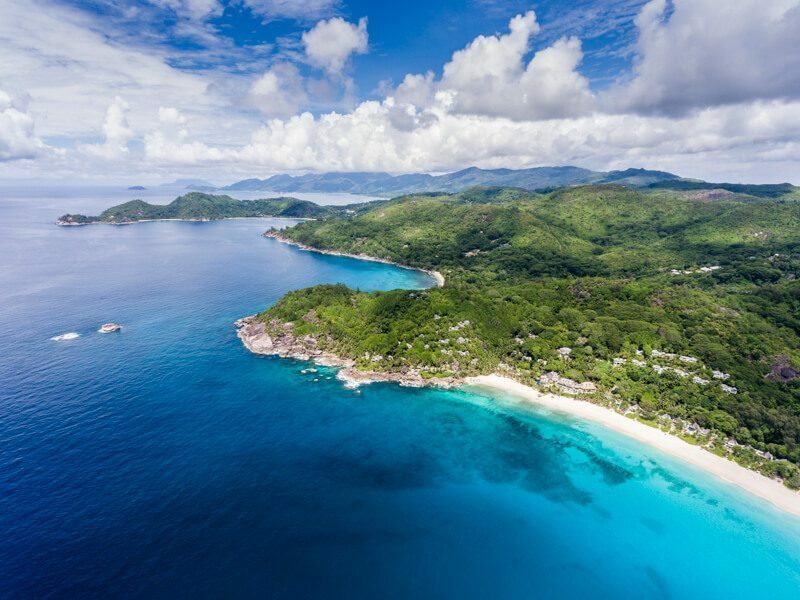 There are dozens of options out there, but one that seems to be on most travel expert wallets are the Chase Sapphire Preferred and the Chase Sapphire Reserve. I have both, and those are my go-to cards when making purchases. 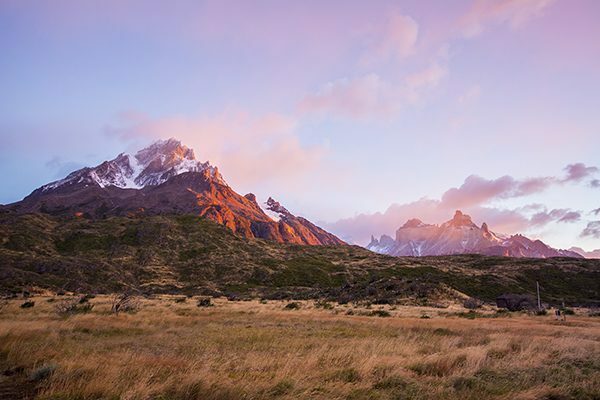 The Reserve may have a high yearly fee of $450, but they give you a $300 rebate on travel expenses each year, plus free global entry, and a free subscription to the Priority Pass Club. At the end of the day, you’re getting that money back in value. The Preferred, on the other hand, is $95 per year but doesn’t have the same perks mentioned above. Still, its sign-up bonus is lovely! When shopping online, search for the products you are interested in buying through your airline of choice mileage mall portal (for example, if you’re accumulating United Airline miles, then you go to their MileagePlus Shopping). Most major airlines have an “online mall” and they link to it on their website or frequent flyer page. These “online malls” often offer multiple points per dollar or specific bonus miles (i.e. 5,000 extra miles) for certain purchases. You could easily be earning 3, 5, and up to 15+ miles/points per dollar by shopping on their portals instead of just one by shopping directly through the merchant. You might not always find the products you’re looking for in these shopping portals, but it never hurts to search for them to see if there’s an option to earn multiple miles! A good site to check for current rewards and see how much you’ll earn per dollar with a given card on a given store is evreward.com. I’ll end this list with the trickiest of all tricks and tips mentioned here. This one is only done by expert hackers or really patient people, but, the rewards are huge if you hit the jackpot! With the rise in oil prices in recent years, many airlines began to add fuel surcharges to their international fares. This fuel surcharge sometimes is far greater than the actual base fare, which is why many travel hackers try to get rid of it. Fuel dumping is the process of removing this hefty surcharges from paid tickets with the YQ or YR fare rules. By removing the fuel surcharges you are able to cut half, three quarters or more of the total cost right away, easily reducing a $1,000 ticket to $300 or so. This is how a third strike works. Let’s say I’m flying from New York to London roundtrip, in the same booking (which should be done via an OTA using their “multi-city” search, not an airline website), I would add a third short flight at the end, most likely to and from unrelated cities. 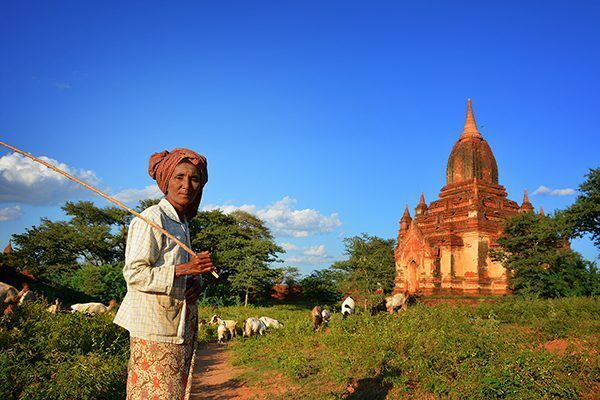 For example, I could add a flight from Bangkok to Chiang Mai a week after my desired round-trip. The idea behind this third flight is that the fuel surcharges on my round-trip will disappear when I add this third leg. The key is finding those “magic” third legs that not only remove the fuel surcharge (based on the airline fare rules and country of origin/destination laws on fuel surcharges) but also costs less in total than just the roundtrip. For this to work, you must learn about and read the fare rules before booking to see what applies to them and what is allowed. This is one of the most important steps to make the 3x work. Honestly, I don’t know all the lingo, but if you want to go down the rabbit hole to decipher it and learn a bit more about the fare rules, head to this FlyerTalk thread. A word of warning, it’s a tedious read. To learn in more detail how to dump fuel surcharges, I recommend reading this, this, and this post. Some of these tips might require some work and an hour of your time, but is that worth saving hundreds of dollars! I do think so! 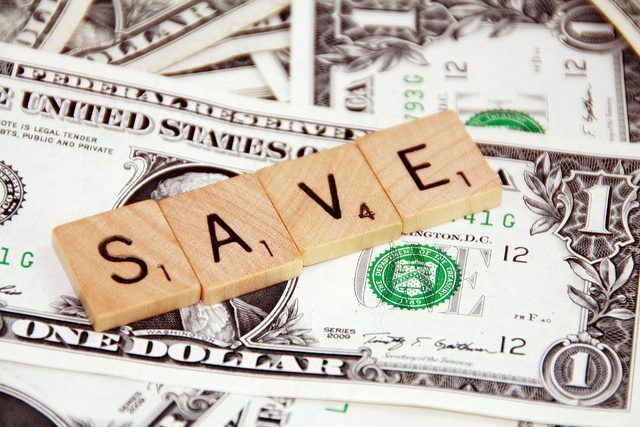 What’s the best deal or cheapest flight you’ve ever found? How did you find it? Share in the comments below. Cover, last plane, and pin image, window image and credit card image from Flickr Creative Commons. Great list! This is the first time I read about the error fares. I’m going to check these out. Thanks for sharing! some of the point i learn first time. thanks useful post appropriated. When we buy a flight ticket, the airline charges us several taxes, many of which are refundable even on a non-refundable airfare. Both the US and Europe has different government regulations to protect the rights of air passengers. In February this year, the European Parliament has adopted several new laws in order to safeguard the rights of the passengers. In one of the amendments it’s been stated that if a passenger applies for an airport tax refund on their flight ticket which has not been used, the airline will have to process the refund free of cost, means without levying any admin charges.